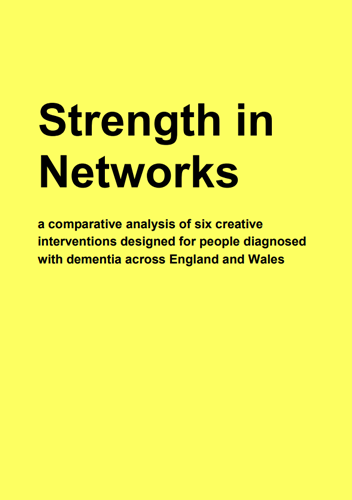 These six case studies were chosen with the aim of examining how different regional and national bodies – through different forms of partnership involving health and cultural organisations alike – are together attempting to meet the particular challenges posed for people in the crucial post-diagnostic period. Williams,F. (2018). Strength in Networks. UK: Arts and Humanities Research Council.